Ever wondered if you can just throw an aerosol can in the trash? The answer is complicated. It’s not the can, but the contents of the can that may cause issues. Many cans used in the workplace contain hazardous materials. Either the product, or the propellant used to spray the product is harmful to the environment. Aerosol disposal must be handled carefully. Improper handling of hazardous waste could result in large fines. Spent aerosol cans are considered hazardous waste while still under pressure. It is against Resource Conservation and Recovery Act (RCRA) regulations to dispose of aerosols in the trash. RCRA rules define federal laws for proper management of hazardous and non-hazardous waste. RCRA covers proper aerosol disposal. In a worst-case scenario, the can must be treated as hazardous waste. But, if companies can guarantee that the can is empty, the rule allows them to treat it as normal waste or recycle it. This occurs when the can meets conditions specified in guideline 40 CFR 261.1(c)(6). There are two ways to exclude aerosol cans from the hazardous solid waste category. If the product in the can is a hazardous substance, then the can must be completely emptied. To be RCRA-empty, cans must contain no more than 1 inch or 3 percent by weight of residue. RCRA classifies empty cans as non-hazardous. The propellant used to spray the contents of the can may also be hazardous. Thus, the propellant must be completely used up, which balances the can to atmospheric pressure. Most aerosol cans ready for disposal will fail to meet one of these criteria. Without some intervention, they will be classified as hazardous waste. Justrite supplies multiple RCRA-compliant aerosol can recycling systems. All our systems are simple to operate. Mount the puncturing device onto any standard 30- or 55-gallon drum. Place a can upside down and clamp into position. An angled, non-sparking pin penetrates the can, causing the remaining liquid contents to pour out into the drum, along with the propellant. A two-piece coalescing and activated carbon filter absorbs any vapors and odors from the drum. Once full, dispose of it as hazardous liquid waste according to appropriate regulations. When using the system, ground cables to ensure the drum and puncturing device are electrically connected. This eliminates static buildup, which could ignite the waste. Empty aerosol cans processed by an Aerosolv aerosol can disposal system may be treated as non-hazardous waste. Additionally, these cans are now recyclable because they are RCRA-empty. American industry consumes approximately three billion aerosol cans each year – enough steel to produce 500,000 cars. Recycling aerosol cans helps minimize the amount of waste sent to landfill sites. It also helps reduce the energy required to make new products. Turn empty aerosol cans into recyclable steel with Aerosolv aerosol disposal equipment from Justrite. Aerosolv has been trusted for more than 25 years. View all Aerosolv Aerosol Can Disposal Systems. Most aerosol cans use butane or propane as a propellant. In many cases, the can’s original contents is flammable or hazardous. But, since most aerosol cans are made of steel or aluminum, they can be recycled – as long as they are RCRA empty. 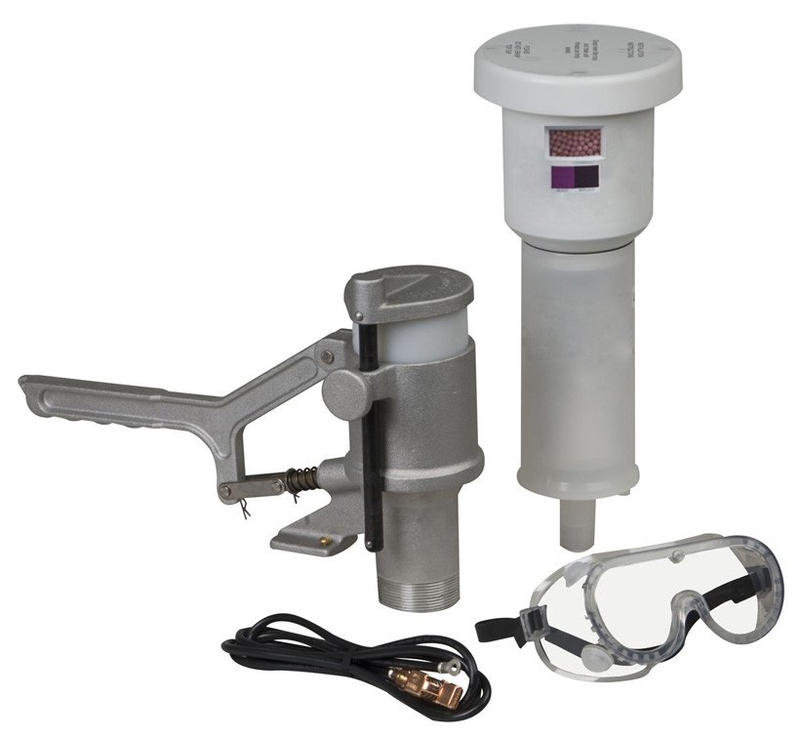 Aerosol can puncturing equipment, such as Justrite’s Aerosolv Standard Aerosol Can Disposal System, offer a suitable solution for preparing aerosol cans to be recycled. Never attempt to puncture cans with a screw driver or similar tool. Just a small spark from the impact of the tool on the can could ignite the escaping flammable vapors, resulting in a fire or injury.